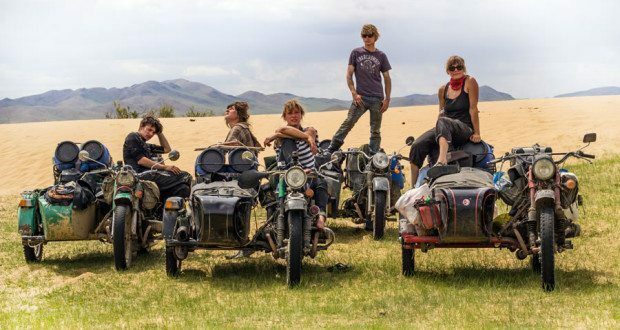 Home / Rides & Events / Motorcycle Adventures / 5 Artists on Ural Sidecars in Texas! 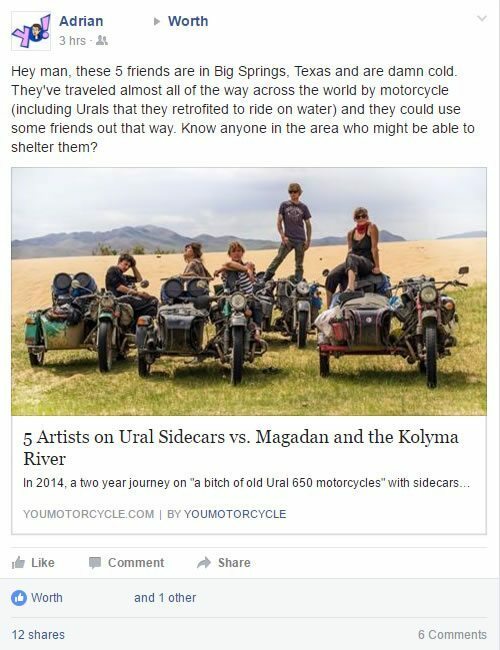 The best part about running YouMotorcycle, has been the feeling that comes from helping people from all parts of the world connect with one another over their common love of motorcycles. There have been cool moments along the way that always make me feel really good about this place. I had another one of those moments thanks to the leavinghomefunktion group, otherwise known as 5 Artists on Urals riding across the world. 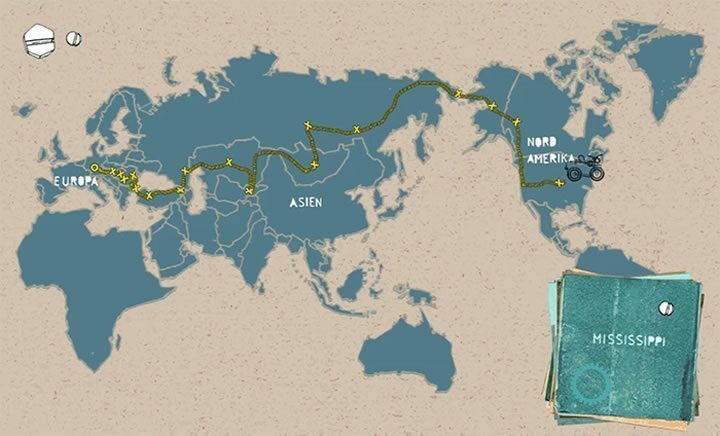 Being able to help these pioneering adventurers was the highlight of my week. And if that wasn’t cool enough, the leavinghomefunktion crew even joined toy drive motorcycle ride with the local community, spreading some cheer and exchanging smiling faces with the onlookers. This isn’t the first time the site has been able to help motorcyclists. YouMotorcycle helped Victoria Merideth go from being “a broke kid with a crappy truck, no bike & a passion for moto,” to making a name for herself in the motorcycle industry. Hooking up one of my very first readers with a motorcycle rental in Florida, or my first older woman crush with a free tour of Cozumel by motorcycle. Sure, it took only a few small gestures, but it really is great to see such kindness among strangers and friends. Especially at this time of year. 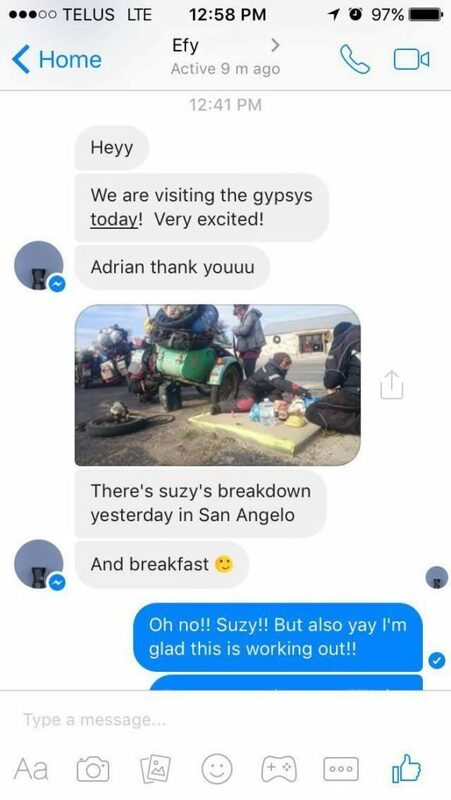 Props and respect to Worth, Careyann, and the other members of Gypsy MC in Texas who offered warm homes to these five motorcyclists who have been riding across the world since 2014. If you haven’t already read about them, check out all of our pages on leavinghomefunktion in the link below. 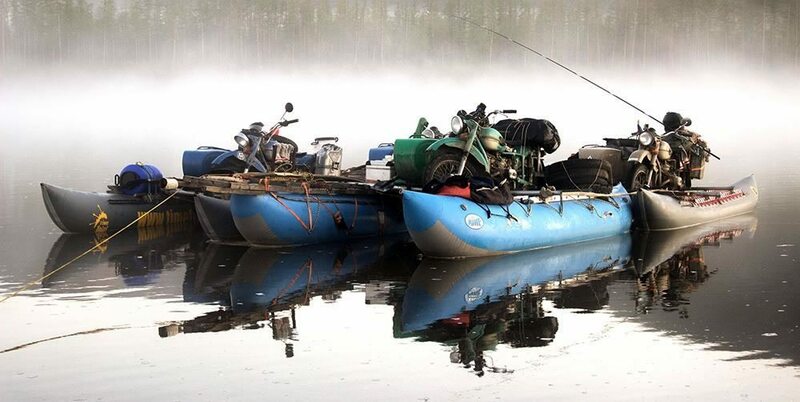 We bet they’re happy to be back on dry land.